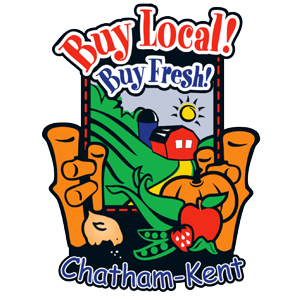 Chatham-Kent Has 300 Acres Of Apple Orchards | Chatham-Kent Agriculture Development | We Grow For the World! Fruits and vegetables in abundance! 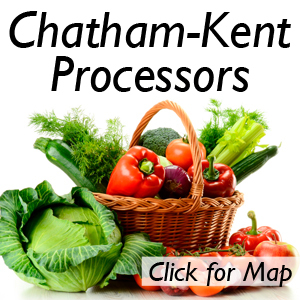 I hope you have been able to enjoy some of the amazing fruits and vegetables that are grown in Chatham-Kent. Speaking of fruits, we are now well into the apple season. Have you ever figured out how many apples you’ve eaten in your lifetime? There is nothing like eating a fresh, crisp apple. If you recall, this past winter was very hard on many of our orchard crops, especially on the soft fruits, such as grapes, peaches and apricots. The apple crop came through the winter fairly well in our area compared to other parts of Ontario. 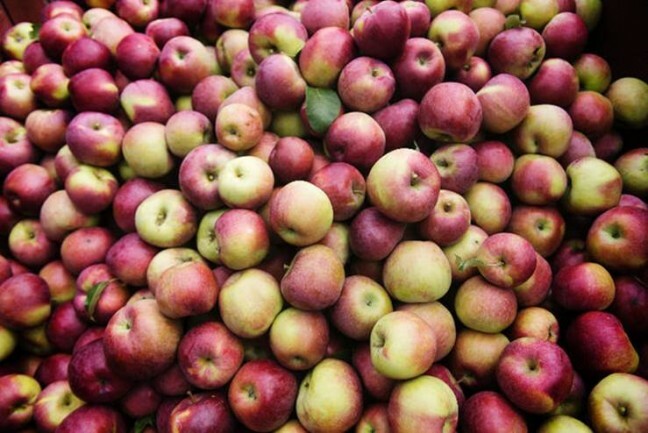 Ontario apples rank among the best in the world. Our growers take pride and care so that you, as a consumer, can reap the benefit when you bite into an Ontario apple. The major apple producing areas in Ontario are along the shores of Lakes Erie, Ontario, Huron, and Georgian Bay. These large bodies of water provide excellent growing conditions for the apple orchards. The water temperatures of the lakes changes slowly, which in turn causes the air temperatures of the land to also change slowly. This means the actual growing season is extended. Due to the moderating effects of the lakes, late spring frosts and early fall frosts are rare. There are approximately 10,000 varieties of apples in almost every corner of the globe. Apples are a healthy eating choice, extremely high in pectin (a soluble fiber) and are packed with flavonoids (compounds which give the colourful pigment to fruits and vegetables). Research suggests they may assist with reducing the risk of heart disease, cancer, stroke, asthma, and type-2 diabetes. An average apple has 70 calories, no fat, no cholesterol, 10 per cent of the daily requirements for fiber, eight per cent of your daily Vitamin C needs, and two per cent of your daily iron requirements. 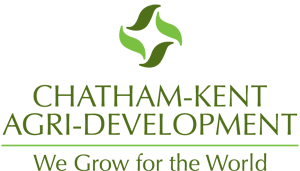 About 50 per cent of the apples grown in Ontario are marketed as fresh apples. Three-quarters of these are marketed through apple packers who distribute the product to grocery stores. The rest are sold through direct sales to stores, farmers’ markets, and roadside stands. The other half of the Ontario apple crop is used for processing, with 90 per cent of the apples made into apple juice. Other processing uses are applesauce and pie fillings. We have around 300 acres of apples in Chatham-Kent. Our apple producers have become quite efficient over the years due to experience and modern technology. However, the number of imported apples (mostly from the U.S.) has risen dramatically over the past 10 years. This is due mainly to our large supermarket chains buying from large wholesalers instead of local producer groups. It is difficult to see our local stores selling apples from the U.S, Chile, South Africa, and other places. As a consumer, you can help in two ways. One is to buy only Ontario apples (and for that matter, other Ontario produce and products). The other is to tell your supermarket manager you want to see more Ontario products in their store and not imported products. Our producers need and appreciate your support. Take a drive and buy some fresh Ontario apples from one of Chatham-Kent’s apple orchards. Make a few apple pies, enjoy a glass of apple juice or cider, or make some delicious apple crisp. Whatever it is, this fruit is apple-icious. 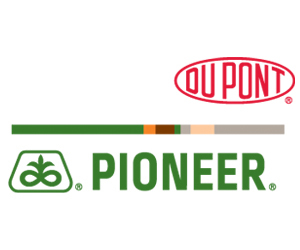 Just a reminder that our farming community is in the midst of their harvest season, which means there are lots of tractors and farm equipment on our area roads. Be aware of these vehicles and when you are following them on our roads, please stay back a safe distance so the drivers of these large vehicles are able to see you. Our farmers want to get home safely and they want you to arrive home safely as well. Think about this – The measure of love is what one is willing to give up for it. Jesus gave up his very life for you.